Kai Yuan*, Chenbao Lu, Stavroula Sfaelou, Xiaxia Liao, Xiaodong Zhuang*, Yiwang Chen*, Ullrich Scherf, and Xinliang Feng, In Situ Nanoarchitecturing and Active-Site Engineering Toward Highly Efficient Carbonaceous Electrocatalysts, Nano Energy 2019, 59, 207-215. Chenbao Lu, Jian Yang, Shice Wei, Shuai Bi, Ying Xia, Mingxi Chen, Yang Hou,* Ming Qiu,* Chris Yuan, Yuezeng Su, Fan Zhang, Haiwei Liang,* Xiaodong Zhuang*, Atomic Ni Anchored Covalent Triazine Framework as High Efficient Electrocatalyst for Carbon Dioxide Conversion, Adv. Funct. Mater. 2019, 29, 1806884. Jinhui Zhu, Chongqing Yang, Chenbao Lu, Fan Zhang,* Zhanhui Yuan,* Xiaodong Zhuang*, Two-Dimensional Porous Polymers: From Sandwich-Like Structure to Layered Skeleton, Acc. Chem. Res. 2018, 51, 3191-3202. Panpan Zhang, Faxing Wang, Minghao Yu, Xiaodong Zhuang,* Xinliang Feng*, Two-dimensional materials for miniaturized energy storage devices: from individual devices to smart integrated systems, Chem. Soc. Rev. 2018, 47, 7426-7451. Panpan Zhang, Jinhui Wang, Wenbo Sheng, Faxing Wang, Jian Zhang, Feng Zhu, Xiaodong Zhuang,* Rainer Jordan, Oliver G. Schmidt & Xinliang Feng*, Thermoswitchable on-chip microsupercapacitors: One potential self-protection solution for electronic devices, Energy Environ. Sci. 2018, 11, 1717-1722. Kai Yuan,* Stavroula Sfaelou, Ming Qiu, Dirk Lützenkirchen-Hecht, Xiaodong Zhuang,* Yiwang Chen,* Chris Yuan, Xinliang Feng, and Ullrich Scherf, The Synergetic Contribution of Boron and Fe–Nx Species in Porous Carbons Towards Ultra-Active Electracatalysts for Oxygen Reduction Reaction, ACS Energy Lett. 2018, 3, 252-260. Tian Jin, Chengcheng Tian, Xiang Zhu,* Chenbao Lu, Shize Yang, Xiaodong Zhuang,* Honglai Liu,* and Sheng Dai*, In Situ Coupling Strategy for the Preparation of FeCo Alloys and Co4N Hybrid for Highly Efficient Oxygen Evolution, Adv. Mater. 2017, 29, 1704091. Panpan Zhang, Feng Zhu, Faxing Wang, Jinhui Wang, Renhao Dong, Xiaodong Zhuang,* Oliver G. Schmidt, and Xinliang Feng*, Stimulus-Responsive Micro-Supercapacitors with Ultrahigh Energy Density and Reversible Electrochromic Window, Adv. Mater. 2017, 29 (7), 1604491. Hongyan Li, Yang Hou, Faxing Wang, Martin R. Lohe, Xiaodong Zhuang,* Li Niu* and Xinliang Feng*, Flexible All-Solid-State Supercapacitors with High Volumetric Capacitances Boosted by Solution Processable MXene and Electrochemically Exfoliated Graphene, Adv. Energy Mater. 2017, 1601847. Chenbao Lu, Diana Tranca, Jian Zhang, Fermin Rodriguez Hernandez, Xiaodong Zhuang,* Fan Zhang,* Yuezeng Su, Gotthard Seifert, Xinliang Feng*, Molybdenum-carbide-embedded nitrogen-doped porous carbon nanosheets with rich heterostructures as ultra-efficient electrocatalysts for water splitting, ACS Nano 2017, 11(4), 3933-3942. Yafei He, Dominik Gehrig, Fan Zhang,* Chenbao Lu, Chao Zhang, Ming Cai, Yuanyuan Wang, Frédéric Laquai, Xiaodong Zhuang,* Xinliang Feng, Highly efficient electrocatalysts for oxygen reduction reaction based on one-dimensional ternary-doped porous carbons derived from carbon-nanotube-directed conjugated microporous polymers, Adv. Funct. Mater. 2016, 26(45), 8255-8265. Yuezeng Su, Zhaoquan Yao, Fan Zhang,* Hai Wang, Zoltan Mics, Enrique Cánovas, Mischa Bonn, Xiaodong Zhuang,* Xinliang Feng, Sulfur-Enriched Conjugated Polymer Nanosheet Derived Sulfur and Nitrogen co-Doped Porous Carbon Nanosheets as Electrocatalysts for Oxygen Reduction Reaction and Zinc-Air Battery, Adv. Funct. Mater. 2016, 26(32), 5893-5902. 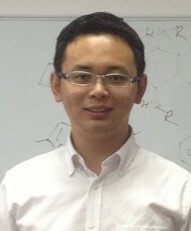 Xiaodong Zhuang, Xinliang Feng*, Silicon-Compatible Carbon-Based Micro-Supercapacitors, Angew. Chem. Int. Ed. 2016, 55(21), 6136-6138. Sheng Han, Yunlong Feng, Fan Zhang,* Chongqing Yang, Zhaoquan Yao, Wuxue Zhao, Feng Qiu, Lingyun Yang, Yefeng Yao, Xiaodong Zhuang,* and Xinliang Feng, Ionic Polymer Framework-Derived Metal Phosphide-Embedded Porous Carbons as Highly Efficient Electrochemical Catalysts for Water Splitting, Adv. Funct. Mater. 2015, 25(25), 3899-3906. Xiaodong Zhuang, Dominik Gehrig, Nina Forler, Haiwei Liang, Manfred Wagner, Michael Ryan Hansen, Frédéric Laquai, Fan Zhang*, and Xinliang Feng*, Conjugated Microporous Polymers with Dimensionality Controlled Heterostructures for Green Energy Devices, Adv. Mater. 2015, 27(25), 3789-3796. Xiaodong Zhuang, Yiyong Mai*, Fan Zhang*, Dongqing Wu, and Xinliang Feng*, Two-Dimensional Soft Nanomaterials: A Fascinating Materials World, Adv. Mater. 2015, 27(3), 403-427. Xiaodong Zhuang, Fan Zhang*, Dongqing Wu, and Xinliang Feng*, Graphene Coupled Schiff-base Porous Polymers: Towards Nitrogen-enriched Porous Carbon Nanosheets with Ultrahigh Electrochemical Capacity, Adv. Mater. 2014, 26(19), 3081-3086. Xiaodong Zhuang, Fan Zhang*, Nina Forler, Dongqing Wu, Haiwei Liang, Michael Ryan Hansen, Manfred Wagner, Dominik Gehrig, Frédéric Laquai, Xinliang Feng*, Two-dimensional Sandwich-Type, Graphene-based Conjugated Porous Polymers, Angew. Chem. Int. Ed. 2013, 52(37), 9668-9672. Xiaodong Zhuang, Yu Chen*, Liu Gang, Pei-Pei Li, Chun-Xiang Zhu, En-Tang Kang*, Koon-Gee Neoh, Bin Zhang, Jinhui Zhu, Conjugated Polymer Functionalized Graphene Oxide: Synthesis and Nonvolatile Rewritable Memory Effect, Adv. Mater. 2010, 22(15), 1731–1735. Xiaodong Zhuang, Yu Chen*, Gang Liu, Bin Zhang, Koon-Gee Neoh, Nan He, En-Tang Kang*, Chun-Xiang Zhu, Yong-Xi Li, Preparation and Memory Performance of a Nanoaggregated Dispersed Red 1-Functionzalized Poly(N-vinylcarbazole) Film via Solution-Phase Self-Assembly, Adv. Funct. Mater. 2010, 20(17), 2916-2922.